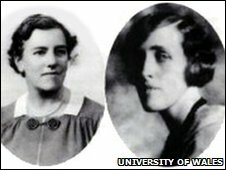 The 50th anniversary of Margaret Davies' bequest of Gregynog Hall in trust to the University of Wales is marked on 23 May. The conference, event, and study venue near Newtown is also home to the annual music festival which takes place each June. Margaret and her sister Gwendoline were granddaughters of Victorian tycoon David Davies of Llandinam. Lord Davies made his fortune from coal, railways and building Barry docks. We are on the cusp of another important phase in Gregynog's legacy. In his legacy, Davies left Gwendoline and Margaret £500,000 each, which enabled them to become passionate collectors of art from around 1908 onwards. 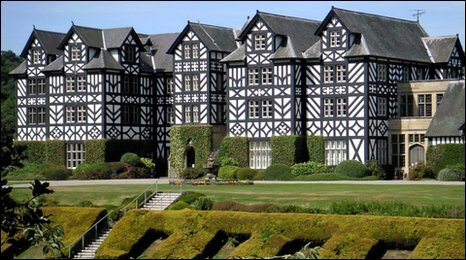 At Gregynog Hall they created a centre for the arts in Wales and founded the prestigious Gregynog Music Festival, attracting the likes of Vaughan Williams, Elgar and Holst. This year's festival takes place from 8 to 20 June and is again set to attract stars of international repute. The sisters also established The Gregynog Press producing limited edition books with hand-coloured illustrations, typography and engraving, all bound by hand. By 1924, they had amassed the largest collection of French Impressionist and Post-Impressionist works in Britain. Between 1951 and 1963, the sisters bequeathed 260 works to the National Museums and Galleries of Wales, completely transforming its art collection with works such as famous Renoir's famous Blue Lady, Monet's Rouen Cathedral and Rodin's The Kiss. The university has opened the hall to tourists, allowing them to share the hall with its Grade 1 listed gardens, and 250 acres of parkland. To mark the 50th anniversary, the music room has been refurbished as part of a business diversification plan, which sees more weddings, commercial conferences and other events hosted at Gregynog Hall. Karen Armstrong, director of Gregynog Hall, said: "We have such a rich cultural history here and it's fantastic to be able to share that with a more diverse audience whilst generating much needed investment to refurbish the hall and develop the gardens. The anniversary also coincides with the launch of a programme of special events for 2010. These include a rock concert showcasing two local bands on 9 July and an open air performance of Pride and Prejudice by Chapterhouse Theatre Company on 18 August. Over the past 50 years, Gregynog has become something of a national institution, hosting academic courses at every level, national and international conferences with many distinguished visitors and meetings of economic, cultural, medical and political groups.